Exhibition and Retail - more things to try! 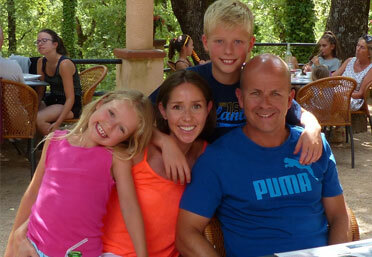 There are several aspects of life I am really passionate about: Family, Sport, Health and Fun! It saddens me to see this great country of ours facing a worsening obesity and inactivity crises, particularly amongst children, and after the success of London 2012 and Rio 2016. As a busy parent, I am also conscious of the constant juggle of trying to ensure that I spend quality time with my children, whilst dealing with the demands of the day to day. With all this front of mind we created GoFest – The Family Festival of Sport, Dance, Health & Fitness. We have now taken great delight in welcoming thousands of families to eight major festivals at Surrey Sports Park in Guildford and the Etihad Campus in Manchester. There are plenty of exciting ways to get involved, as a key sponsor, exhibitor or as sports or dance delivery partner so if you would like to support us in our drive to unite far more families through sport and healthy activity, please e mail me on paul.farris@gofest.co.uk or call 07774 629242 for more details. We need your help to be able to continue to unite everyone with so much choice at our fun activity week-ends! Please sign up to our newsletters by clicking here and ensuring you receive details and offers,.. and follow us on Facebook, Twitter and Instagram. We look forward to enjoying your company again soon!